Luke is a journeyman in IATSE Local 15, and specializes in scenic fabrication and automation for Seattle’s premier theatres and production companies. For the premiere of Disney’s Elf: The Musical at the 5th Avenue Theatre Luke led a team to build (what felt like) a million giant snowflakes, elf village and NYC facades, and automation for Santa’s flying sleigh. Luke headed up a team to create a replica Lockheed Electra aircraft for Seattle Opera’s 2009 debut of Amelia. As a working lead, Luke managed the crews for various portions of the airplane, with attention to blending of the shapes and fine details of this featured centerpiece for Amelia. Luke engineered a turntable system that has been used in multiple shows, including “Carousel” and Disney’s premiere of “Shrek.” The turntable is seen in use throughout this “Paint Your Wagon” sizzle reel from the 5th Avenue Theatre. In February of 2004, Luke was involved with a Discovery Channel series pilot called “In the Name of Science.” It documented the construction of a record-setting, 40-foot trebuchet that would launch flammable projectiles. This six-minute video shows the highlights of his work on the show. Namely, the explosions. Luke worked for Amazon Studios to head up fabrication for several set pieces for the pilot of this show, including installation of a guard tower and a metal, arched sign over the street, installed on location in Washington State, and set elements for some interior shots. Part of “The Hunted” was filmed on location on the Elwha River on Washington State’s Olympic Peninsula. Luke was one of two welders who had the rigging experience to rappel off the side of the hill and install a false cliff face over the water for the climactic knife fight scene. Tommy Lee Jones’ character falls off the cliff in the first 15 seconds of this clip. *This scene contains graphic violence after the first minute, and discretion is advised. The EMP (now known as MoPOP) contracted Seattle Opera Scenic Studios to fabricate pieces for an interactive exhibition from the James Cameron movie Avatar. The costumes, props, and camera modules came from Hollywood, but Luke led a team to build and install the surrounds, display cases, and portals for the exhibit. It toured to four other museums in the US and Canada before returning to Seattle. 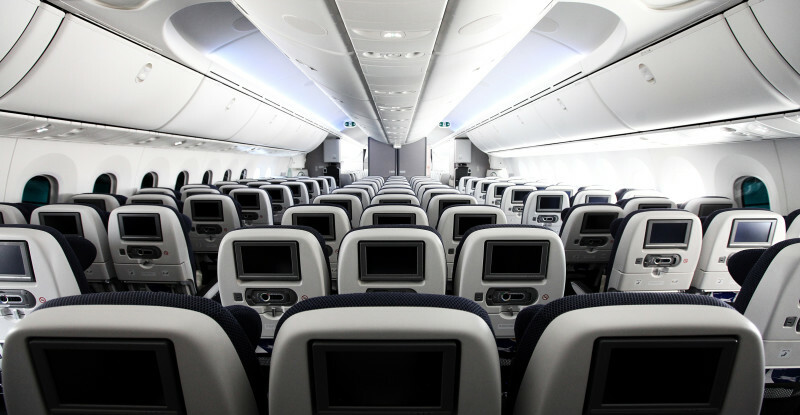 Before the rollout of Boeing’s Dreamliner, known then as the 7E7, the Teague Design Firm employed Luke on a team of fabricators who sculpted foamcore mockups of the cabin overhead bins and soffets. Luke has been involved in three large-scale sculptural fabrication projects by artist Sarah Sze. 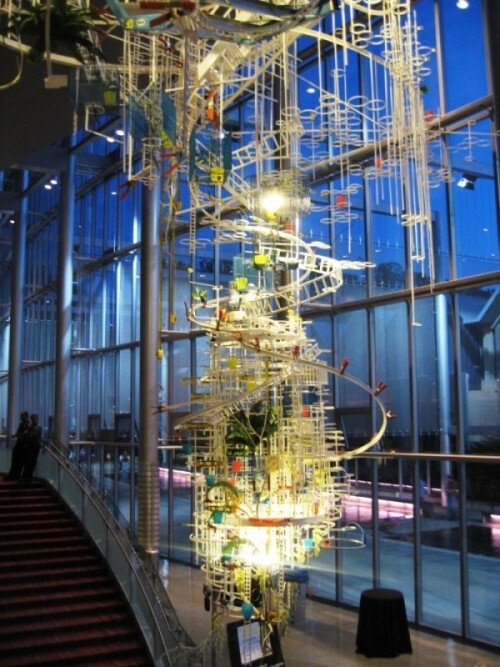 The first, “An Equal and Opposite Reaction,” can be seen in the foyer of Marion Oliver McCaw Hall, the home of Seattle Opera and Pacific Northwest Ballet. 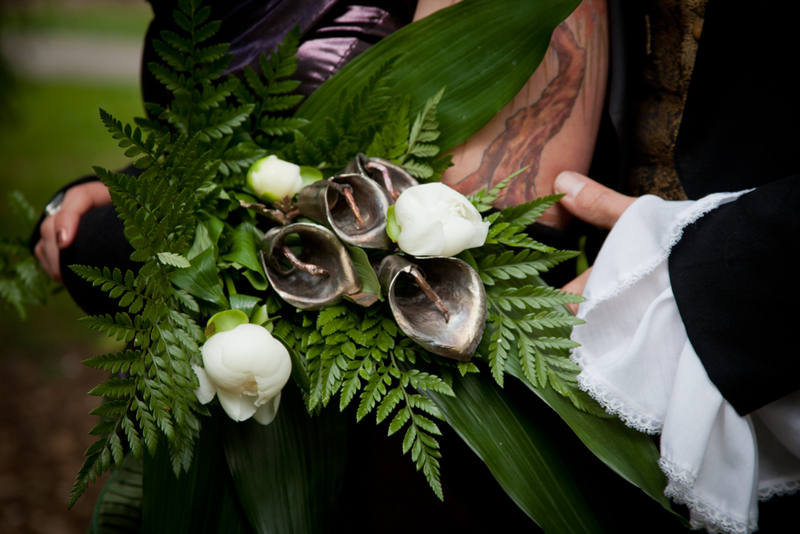 Strikes on the anvil echoed throughout the neighborhood while Luke crafted these steel and brass calla lilies for a friend’s wedding, and when the greens have faded, the lilies will remain, as long as they both shall live. 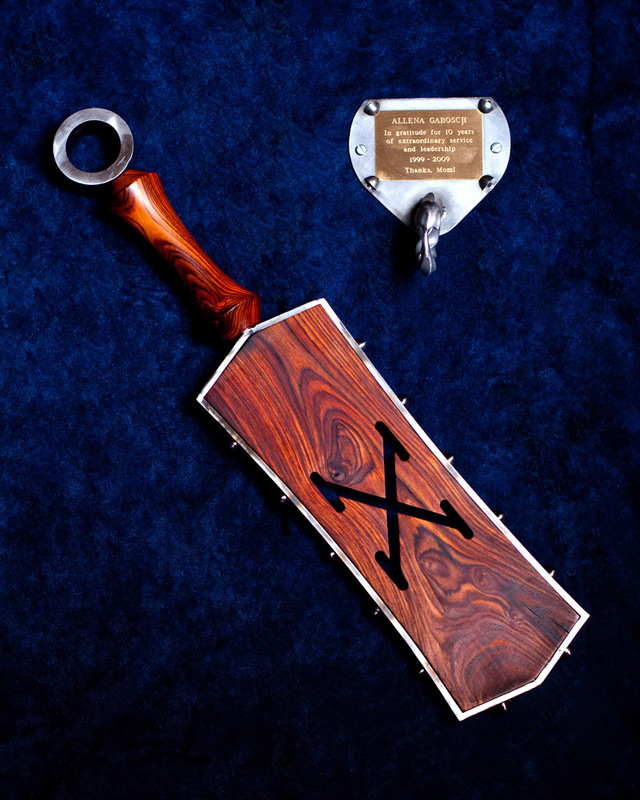 The CSPC commissioned Luke to fashion a plaque in the form of a paddle in honor of the organization president’s ten years of service. It is made from rosewood with a riveted steel surround, complete with a dragon-tail hook for display. Website and video production by Colleen Mathis.